You can rest assured that all current contractor licenses are in good standing for Maryland, Virginia and the District of Columbia and have been since 1977. 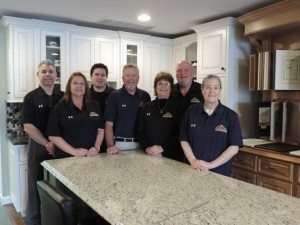 Chase Remodeling is completely bonded and insured meeting Maryland Home Improvement Commission’s highest standards for coverage, as well as, and for the Commonwealth of Virginia and the District of Columbia. We also carry General Liability, Workmen’s Compensation, Personal Injury, and Property Damage with one million dollars in umbrella coverage, plus job completion bonding in all three areas. Today, Chase Remodeling celebrates over 38 years in business and over 35,000 jobs installed to satisfied customers throughout the Washington Metropolitan area. Our owner, Bob Chase, has made it his mission to grow Chase Remodeling on a solid foundation within the home improvement business, which it knows best. We strive to give customers full value by making top quality products available at reasonable prices. Because of the volume business, most purchases are made directly from the manufacturer and eliminate any additional middle man mark-up! Chase Remodeling looks forward to the future and their continued growth in the home improvement business. Chase Remodeling holds the exclusive distribution rights and represents some of America’s largest manufacturers. Often, these products offer homeowners a better warranty than a local manufacturer’s product. In addition, Chase Remodeling offers an exclusive 5 year Labor Warranty, unheard of in the home improvement industry. Fill out our on online form for Roof Replacement, Roof Repair, Roof Inspection, Replacement Windows, Bay Windows, Double Hung Windows, Entry Doors, Storm Doors, Siding, Concrete, Pavers, Stone Patios, Kitchen Remodel, Bath Remodel, Home Remodeling, Decks and Additions. Would you like to visit our Maryland home improvement showroom to get a better idea of the products and services we offer? Many people prefer to visit our showroom where you can explore available options and designs for your home improvement project. If you would prefer to visit our Maryland home improvement showroom call us Toll Free at (855)-210-4500 to schedule an appointment with one of our design consultants. We service most of Maryland, Northern Virginia, and Washington, D.C.
Adelphi, Annapolis, Annapolis Neck, Arnold, Aspen Hill, Baltimore, Beltsville, Bethesda, Burtonsville, Calverton, Catonsville, Clarksburg, Cloverly, Colesville, College Park, Columbia, Crofton, Damascus, Darnestown, Elkridge, Elkton, Ellicott City, Fairland, Ferndale, Fort Meade, Four Corners, Frederick, Gaithersburg, Germantown, Glen Burnie, Glenmont, Glenmont, Greenbelt, Jessup, Kemp Mill, Kettering, Lake Shore, Laurel, Leisure World, Linthicum, Middle River, Mitchellville, Montgomery Village, Mount Airy, North Bethesda, North Kensington, North Potomac, Odenton, Olney, Pasadena, Potomac, Redland. Northeast, Southeast, Northwest and Southwest.